As one of the faces of our January Flexible Fitness Campaign, Ramnik appeared on banners across the City and on all our social media channels. It’s been a fantastic experience, feeling that I’m inspiring others to exercise. His story reached out to many, inspiring you to be more active and make some really positive health and lifestyle choices. “Wow, what a six months it’s been! I’ve been busy launching my new website and I’ve also started delivering sessions in One2One Personal Training! I shot my first professional fitness video this month for release on social media later this year too, it’s all very exciting! 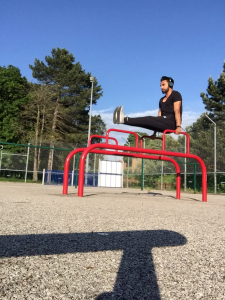 “My Flexible Fitness Membership is still proving to be great value for money as exercise is a great way to relax after a busy day at work. I increased my training regime earlier this year, to compete in ‘Tough Mudder’ at Belvoir Castle in May where I challenged myself to run 10 Miles and completed all 27 obstacles. It was hard, but great fun and really rewarding; it’s amazing what you can achieve when you challenge your mind and body. “My little girl is following in my footsteps by joining Nottingham Swim School. She’s just completed her first 10 weeks and is loving it! She did a 5k Race for Life last week for Cancer Research, which is pretty impressive for a 5 year old. 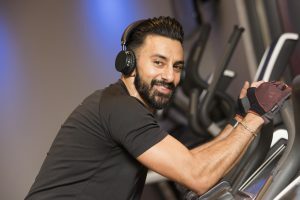 If Ramnik’s story has inspired you, sign up to Flexible Fitness TODAY and pay no joining fee*! Get down to your nearest leisure centre or call us on 0115 876 1600 and take your first steps towards a healthier, fitter, happier you!